I didn't touch my eyebrows until I was 28! Whilst it's mad to think that I was walking about with huge messy caterpillars above my eyes for all those years I am now thankful that I didn't care too much about my appearance in my younger years as I haven't been left with 90s style over plucked eyebrows. When I finally decided to sort out my brows, threading was the only method that interested me. I'd heard amazing things about the technique from friends and loved the polished finish that it created. Since my first time I have never looked back and now regularly get my brows threaded whenever they start to get a bit wild. I will admit when it comes to brow maintenance I am a little lazy and tend to pop to Tesco to get mine done, usually in between picking up the cereal and choosing a pizza. 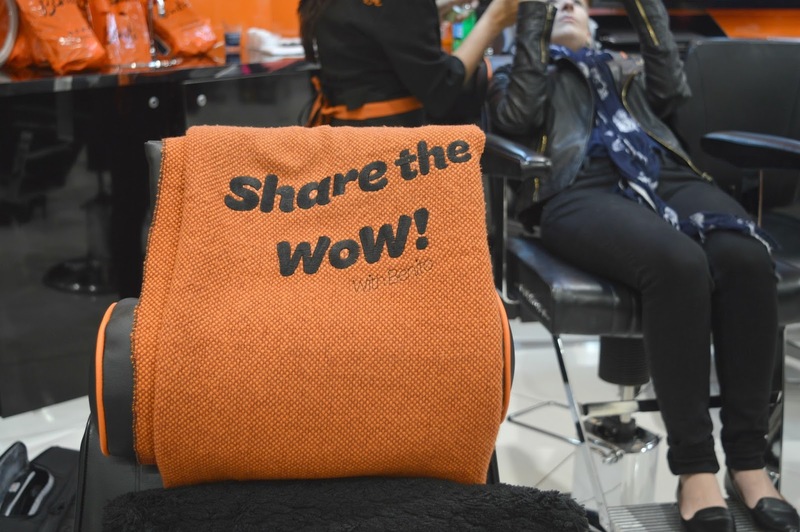 It's definitely not the most glamorous or relaxing experience so when new brow bar, Benito invited me to their launch night at Debenhams in Intu Eldon Square I was excited to see what they had to offer. I headed to the event with the lovely Kelly, one of my favourite ladies because every time we meet we chatter on like excited school girls. This meant an evening of telling each other loads of hilarious embarrassing stories about hair removal (which I definitely wont be sharing on here!) It seems that although it's something we don't always discuss, us ladies all have hair sprouting up on the most peculiar parts of our faces so thank goodness that Benito have arrived to keep us all fuzz free. Originating in Asia, threading is a precise form of hair removal done by pulling thread over unwanted hairs in a twisting motion which pulls them right from the folicile. 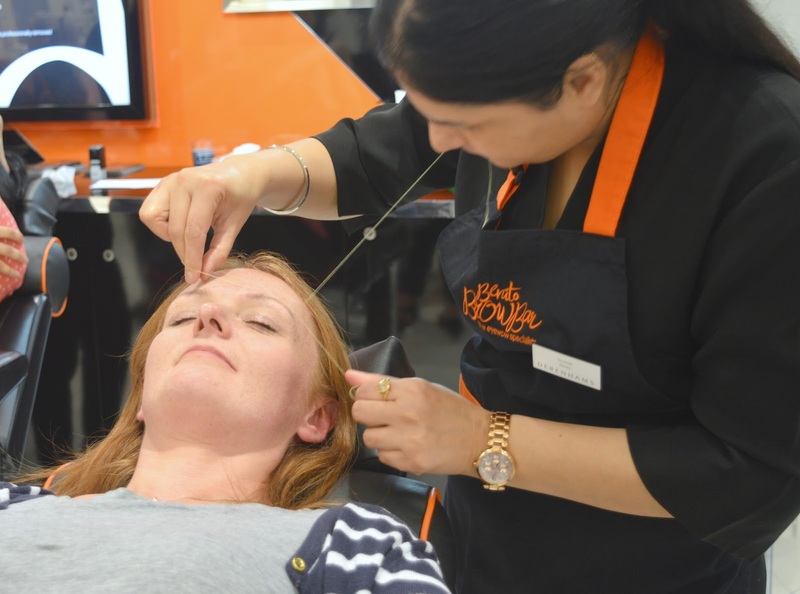 If you're new to threading then you understandably may feel a little nervous about it but I've always found it to be perfectly comfortable and I'm a wuss with a very low pain threshold! For a few minutes slight discomfort you are left with perfectly shaped brows. The best thing about getting your brows done at Benito is that when you sit down in the chair the therapist asks you how you like your brows and talks you through exactly what will happen whilst showing you in a mirror. It was the first time I'd ever had a proper consultation before a threading and it was a little added touch that I really appreciated, especially considering I'm getting married next week and an eyebrow disaster would not be great! My treatment was over in a flash with minimum pain. I was asked if I'd like some soothing Aloe Vera gel over my beautiful new brows and just like that I was done and ready to go. I was really impressed with the service and am now seriously considering going back to get my entire face threaded before my wedding. 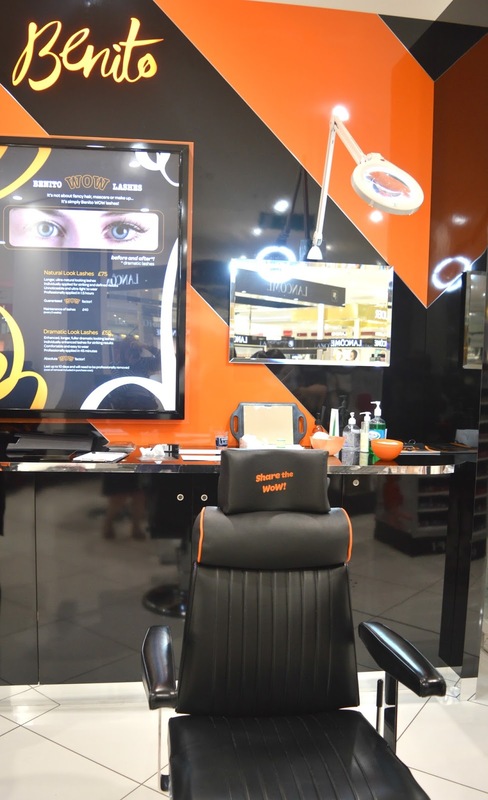 Benito offers loads of different services including full face threading, eyebrow shaping and tinting, men's grooming and lash treatments. Prices start from as little as £5 and an eyebrow shape will cost you £13. There are also a number of money saving package cards where you can save up to £26 by booking for multiple treatments in advance. If lashes are more your thing Benito offer natural look lashes for £75 or longer fuller dramatic looking lashes for £55. 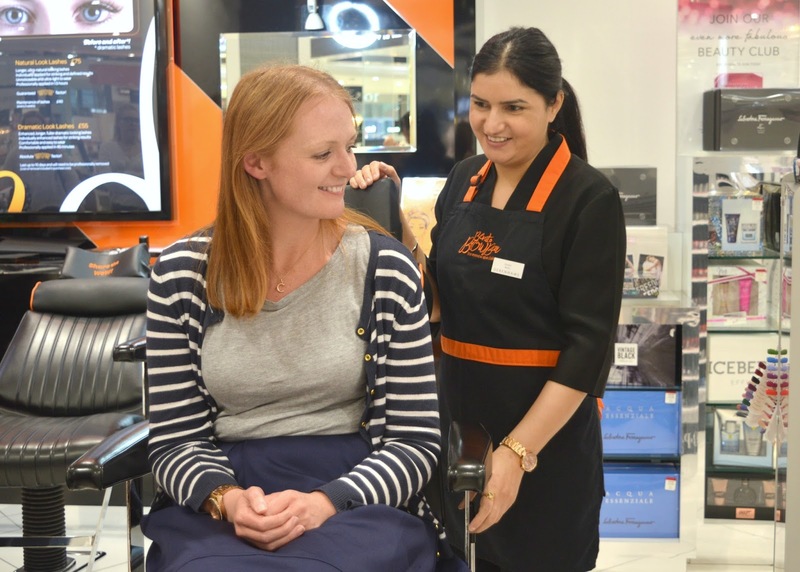 You'll find Benito on the ground floor of Debenhams in Intu Eldon Square and you can't really miss them as their welcoming bright orange signs easily guide you through the beauty hall. There's no need to make an appointment, just walk up to the counter and one of the lovely ladies will offer you one of the comfortable seats to relax in. Newcastle, your brows never looked so good! Benito treated me to a free eyebrow treatment but all thoughts are my own. Oh very good - it always puts me off when they put the thread in their mouth for some reason! My friend used to wax my brows all of the time but I've kind of stopped - I need to up my brow game! You are so lucky you didn't pluck yours away to nothing. I desperately encourage mine to try and come back. Threading seems to get the best results although I do find it more painful than waxing just because it takes longer.